Published April 2, 2014 at 3264 × 2448 in “Global City’s Dharma: Buddhism and Modernity in Singapore” Panel @ 2014 AAS. 2014 With discussant, Ven. 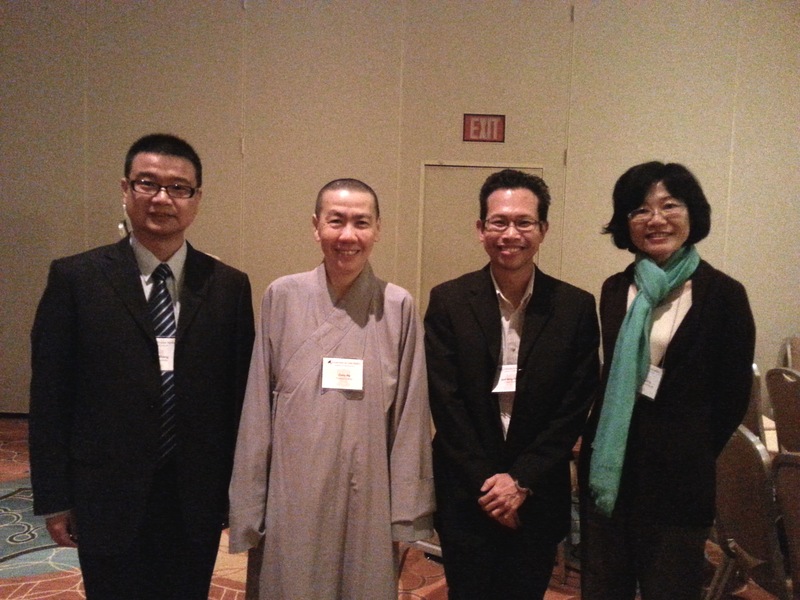 Prof. Zhiru (second from left), and panelists, Zhang Wenxue and Chi Chang-hui, from my “Global City’s Dharma: Buddhism and Modernity in Singapore” panel at the AAS Conference, Philly.